Every New Year’s Eve for as long as I can remember, our family threw a party, both for the New Year and for my mom’s birthday, which is January 1. It is our New Year’s Eve Tradition. As I was thinking about our tradition, I wondered about other New Year’s Eve Traditions. So, I decided to research some of them. Wow!! There are some really strange traditions out there. One I found particularly strange was that in Switzerland, they drop a dollop of ice cream on the floor. It is supposed to bring overflowing abundance in the New Year. Now, I don’t know about you, but I think that is strange…and messy. In Spain, it is all about good timing. When the clock strikes midnight, Spaniards try to eat a grape in time with each chime. Those who don’t manage to cram the right number of grapes at the right time face the threat of bad luck for the following year. Be warned, it’s not as easy as it sounds, apparently. Many people practice beforehand to increase their chances of beating the clock. This is serious business from what I read. In Czechoslovakia, they like to look to their future around New Year’s, usually with the help of an apple. The fruit is cut in half and the shape of the core determines the person’s fate. If it’s a cross, mischief is on the way, but if it’s a star, you can expect happiness. Apparently, many New Year’s Eve traditions center around food…including our party, but our party doesn’t have any traditions that involve the food. Several of the traditions sounded very familiar to me, because they are traditions I have grown up with. Many places celebrate with fireworks on New Year’s Eve. 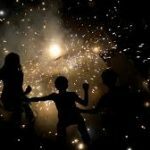 In some places, it is believed that the noise and light from fireworks and sparklers would scare away bad spirits, not something I believe in, but some people might. 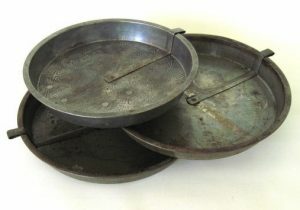 At our house, midnight means that it’s time to “beat the pans.” It’s something we have done since I was a little girl, and a tradition that my sisters and I would not change. 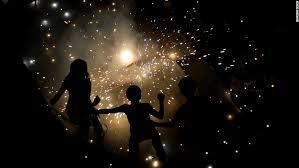 It reminds us of our parents, and makes it seem like they are there with us on that special night each year. I do think that my parents might be surprised to find out that their tradition, that they made up, is one that is also tradition in Iran…I was very surprised. A couple of traditions were, strange to me. People in Buenos Aires, Argentina, have an unusual tradition. On the last day of the year they shred old documents and papers to symbolize leaving the past behind. Around noon, on New Year’s Day, people throw the scraps of paper from their windows all over the city in a shower of confetti. Out with the old and in with the new, I guess. I hope they never need those documents. As strange as that tradition was, the winner of the strangest tradition on Earth…in my mind at least it the one celebrated in Peru. The last day of December…New Year’s Eve, is the day of the Takanakuy Festival. The Takanakuy Festival is the craziest festival I have ever heard of. 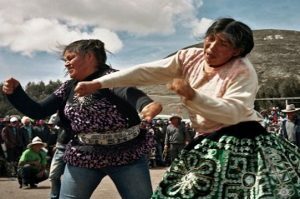 The Takanakuy Festival, is the fighting festival. Every year people of Peru have a fist fight to settle their differences. Can you imagine a whole town fighting in the street? They then start the year off on a clean slate on New Year’s Day. I guess then that it must be illegal (or at least, in very bad taste) to be mad about anything or at anyone that you had a fist fight with the day before. Now, I think that the tradition of not carrying any arguments into the new year is a really good one, but I know that I would not want to have to go through that whole fist fight part of the festival. Nope…I sure wouldn’t. In my opinion, this dual language society would have caused numerous problems. The indication I get is that neither side could speak the language of the other, but I don’t know how a monarchy could rule, if the “commoners” could not understand the language and therefore the orders of the monarchy. French was spoken and learned by anyone in the upper classes. However, it became less useful as English lost its control of various places in France, where the peasants spoke French, too. After that…about, 1450…English was simply more useful for talking to anybody. 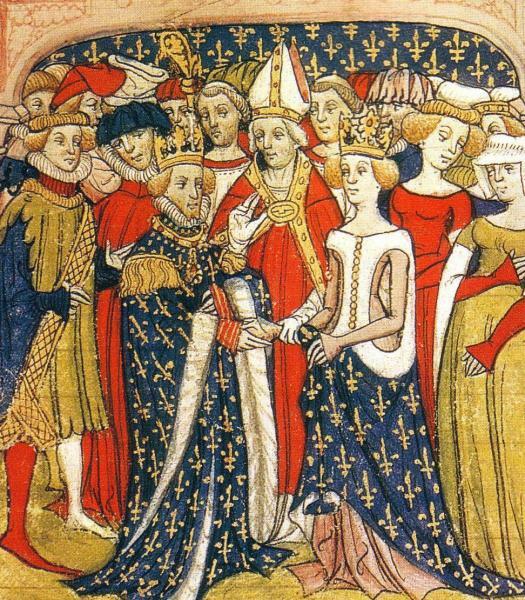 It is still true that British royals and many nobles are fluent in French, but they only use it to talk to French people, just like everybody else. 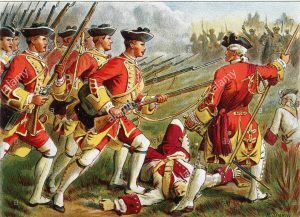 To further confuse your preconceptions about the English language, the “British accent” was, in reality, created after the Revolutionary War, meaning contemporary Americans sound more like the colonists and British soldiers of the 18th century than contemporary Brits. Many people have made a point of how much they love the British accent, but I think very few people know the real story behind the British accent. In the 18th century and before, the British “accent” was the way we speak herein America. Of course, accents vary greatly by region, as we have seen with the accents of the south and east in the United States, but the “BBC English” or public school English accent…which sounds like the James Bond movies…didn’t come about until the 19th century and was originally adopted by people who wanted to sound fancier. I suppose it was like the aristocracy and the commoners, in that one group didn’t want to be mistaken for the other. After being handily defeated by the American colonists, I’m sure that the British were looking for a way to seem superior, even in defeat. The change in the accent of the English language was sufficient to make that distinction. Maybe it was their way of saying that they were better than the American guerilla-type soldiers who beat them in combat…basically they might have lost, but they were superior…even if it was only in how they sounded. Who shot first? We will never know, but on December 29, 1890, that first shot started a massacre. What lead up to that fateful day? For all of his 27 years, Black Elk’s had watched as the way of life of the Lakota Sioux on the Great Plains was taken away. Black Elk was a medicine man, who witnessed years of broken treaties. He watched as the white men “came in like a river” when gold was discovered in the Dakota Territory’s Black Hills in 1874. He was there two years later when Custer and his men were annihilated at Little Big Horn. He saw the Lakota’s traditional hunting grounds evaporate as white men decimated the native buffalo population. The Lakota, who once roamed as free as the bison on the Great Plains, were now mostly confined to government reservations. 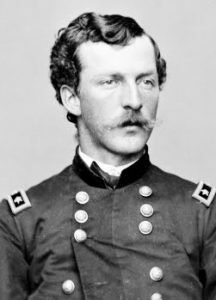 General Nelson Miles arrived with 5,000 troops as part of the Seventh Cavalry, which was Custer’s old command. 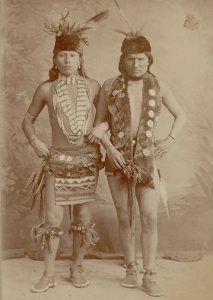 He ordered the arrest of several Sioux leaders. 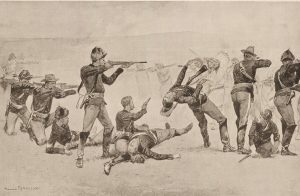 When Indian police tried to arrest Chief Sitting Bull, who was mistakenly believed to have been joining the Ghost Dancers, the noted Sioux leader was killed in the melee. Then, on December 28, the cavalry caught up with Chief Big Foot, who was leading a band of upwards of 350 people to join Chief Red Cloud, near the banks of Wounded Knee Creek. The American forces arrested Big Foot, who was too ill with pneumonia to sit up, let alone walk, and positioned their Hotchkiss guns on a rise overlooking the Lakota camp. As a bugle blared the following morning, December 29, American soldiers mounted their horses and surrounded the Native American camp. A medicine man who started to perform the ghost dance cried out, “Do not fear but let your hearts be strong. Many soldiers are about us and have many bullets, but I am assured their bullets cannot penetrate us.” He implored the heavens to scatter the soldiers like the dust he threw into the air. The cavalry went teepee to teepee seizing axes, rifles and other weapons. As the soldiers attempted to confiscate a weapon they spotted under the blanket of a deaf man, who could not hear their orders, a gunshot suddenly rang out. 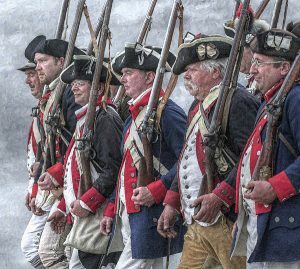 It was not clear which side shot first, but within seconds the American soldiers launched a hail of bullets from rifles, revolvers and rapid-fire Hotchkiss guns into the teepees. Outnumbered and outgunned, the Lakota offered meek resistance. Big Foot was shot where he lay on the ground. Boys who had been happily playing leapfrog were mowed down. 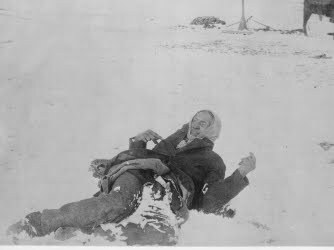 In just a matter of minutes, at least 150 Lakota Sioux Indians were killed along with 25 American soldiers. Half the victims were women and children. The soldiers might have thought they were being attacked…it’s hard to say. Nevertheless, that first shot brought about a massacre. Travel by ship was not always a safe mode of travel. Things like icebergs, wars, storms, and seashores were known to bring to an end a voyage, that was otherwise very enjoyable. Most people remember the Unsinkable Molly Brown, who was really Margaret Tobin, mostly because of all the publicity and even a musical. Surviving the sinking of the Titanic, while an amazing feat, was something that 705 other people did too. The stories and musical were a way of remembering the tragedy. As amazing as surviving a ship sinking in those days was, there is something that is far more amazing!! Surviving, not one, but three ship accidents in those days. 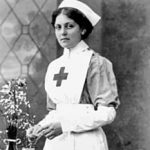 In 1910, Violet Jessop began working as an ocean liner stewardess and nurse for the White Star line. 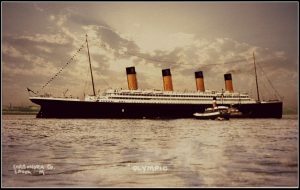 She was on board when RMS Olympic sailed on September 20, 1911. 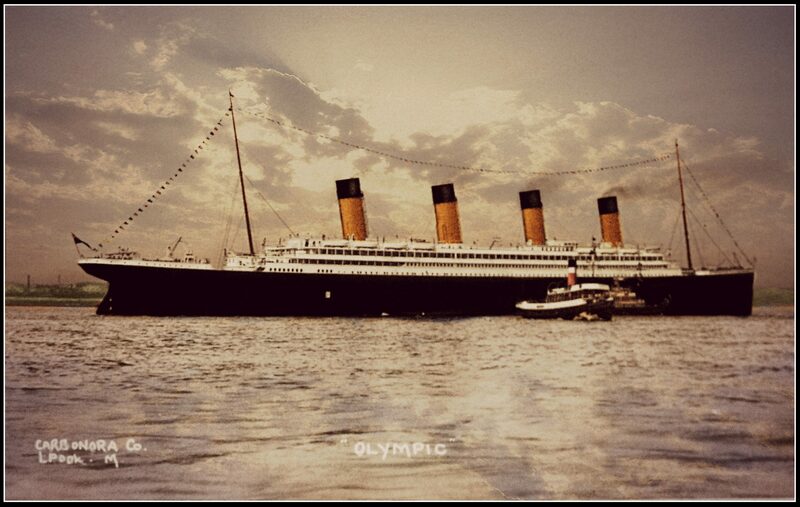 The Olympic was a luxury ship that was the largest civilian liner at that time. Olympic left from Southampton and collided with the British warship HMS Hawke. There were no fatalities when Olympic sand, and despite damage, the ship was able to make it back to port without sinking. She doesn’t really count this one, because it didn’t sink, but then it did collide with another ship. She didn’t think that one was such an amazing feat, but I’d say that counts. Jessop was then a stewardess on the RMS Titanic April 10, 1912, when she was 24 years old. 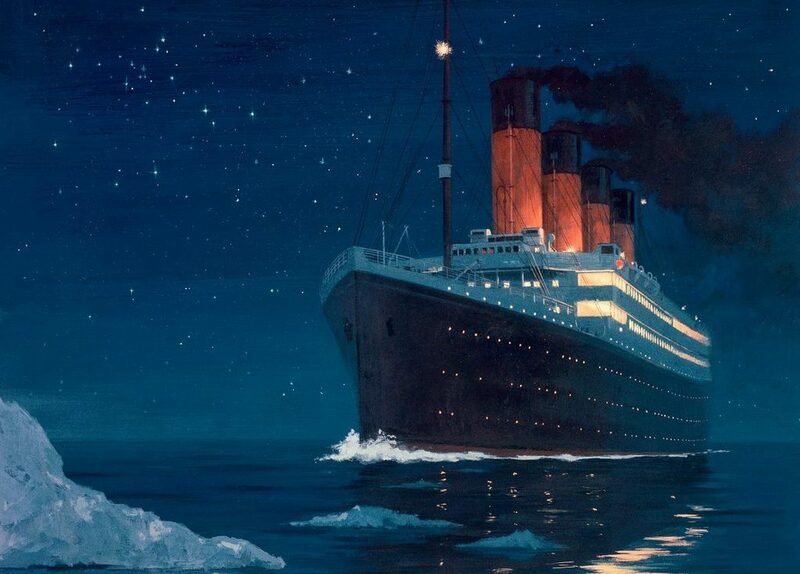 Four days later, on April 14, it struck an iceberg in the North Atlantic, a story with we all know very well. Titanic sank a little more than two hours after the collision. Jessop described in her memoirs how she was ordered up on deck, because she was to function as an example of how to behave for the non-English speakers who could not follow the instructions given to them. She watched as the crew loaded the lifeboats. She was later ordered into lifeboat 16; and as the boat was being lowered, one of the Titanic’s officers gave her a baby to look after. The next morning, Jessop and the rest of the survivors were rescued by the RMS Carpathia. According to Jessop, while on board the Carpathia, a woman, presumably the baby’s mother, grabbed the baby she was holding and ran off with it without saying a word. Records indicate that the only baby on boat 16 was Assad Thomas, who was handed to Edwina Troutt, and later reunited with his mother on the Carpathia. Then, during the First World War, she served as a stewardess for the British Red Cross. 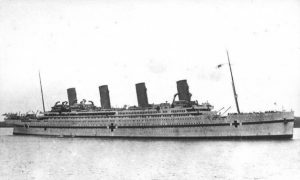 On the morning of November 21, 1916, she was on board the HMHS Britannic, that had been converted into a hospital ship, when it sank in the Aegean Sea due to an unexplained explosion. 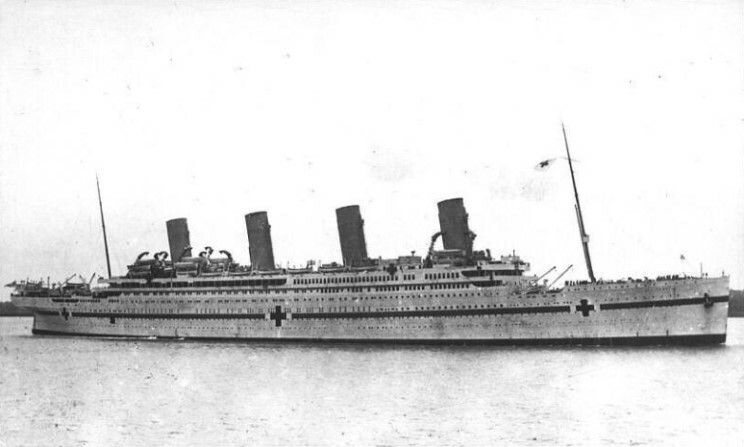 The Britannic sank within 57 minutes, killing 30 people. British authorities decided that the ship was either struck by a torpedo or hit a mine planted by German forces. After the war, Jessop continued to work for the White Star Line, before joining the Red Star Line and then the Royal Mail Line again. 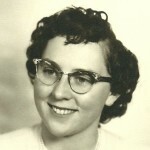 During her tenure with Red Star, Jessop went on two around the world cruises on that company’s largest ship, the Belgenland. In her late thirties, Jessop had a brief marriage, and in 1950 she retired to Great Ashfield, Suffolk, where my dad had been stationed during World War II. Jessop, often winkingly called “Miss Unsinkable,” died of congestive heart failure in 1971 at the age of 83. Some talents can be learned, but some tend to be things that you are just born with. I was watching a program the other day, and this couple was looking at a place to buy, and the husband mentioned that they could have a garden, and his wife said…”You can have a garden! 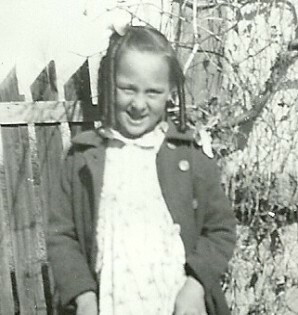 !” He said, “Oh, because of your brown thumb.” I immediately thought of myself. A gardener I am not…and that is a fact. My husband’s aunt, Esther Hein, however, really likes to plant flowers and nurture them along. It is something that she has a talent for. I wish I did, but I was not born with that talent. Aunt Esther also is a gifted artist and quilter. I have one of her paintings, and I really love it. Her quilting is well known, as is some of her sewing. She has made curtains and other such things for my father-in-law’s house, and I always liked knowing that those things came from Esther, with love. 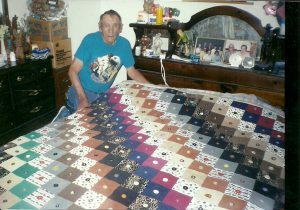 She made on particularly beautiful quilt for my father-in-law, that he loved so very much. It was always on their bed, and he was always extra careful to make sure that it was never harmed. Quilting is a beautiful art form, for those who are skilled enough to master it. Esther is, and again, I am not. 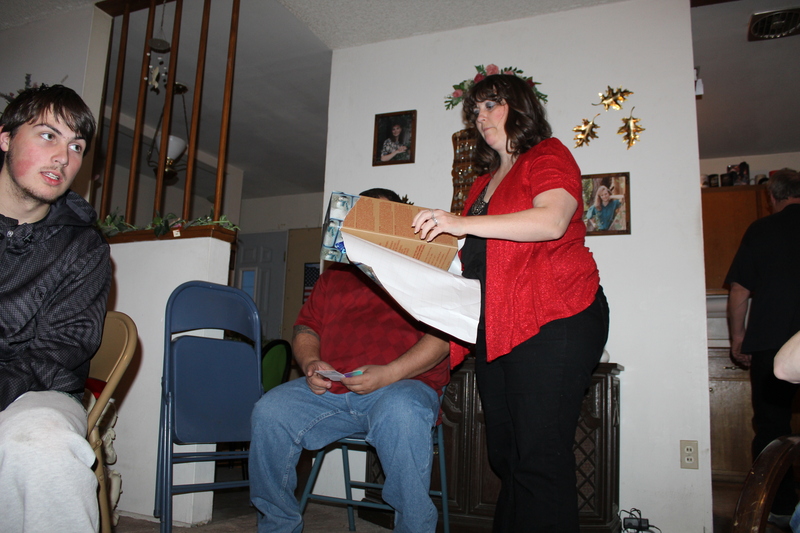 She also makes out a family calendar every year, with birthdays, death dates, and anniversary dates on it. It is an act of love that she has done for many years for her family members. I remember looking at the calendar she sent to my father-in-law every year. The calendar had birthday and death date of people long passed, and was a great ancestry tool, as well as a way to keep up with important dates, and remember those long passed. Esther is active in her church, and loves the Lord, and she loves to play with her dogs, go camping, and snow shoeing, as well as traveling. We don’t get to see Esther as much as we would like, and we hope that maybe one of these days, her travels with bring her to Wyoming again. Of course, I suppose we should make our travels include Oregon too. Today is Esther’s birthday. Happy birthday Esther!! Have a great day!! We love you!! 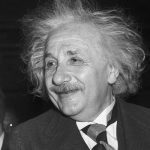 Albert Einstein has always been one of my favorite historic figures, so I decided to look for more information on him. I was surprised about some of the things I found out. Albert Einstein was born in Ulm, Germany in 1879, to parents Hermann Einstein and Pauline Einstein. Albert had a large head at the time he was born, so large, in fact that it startled his mother and grandmother when they saw him for the first time. 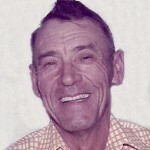 The “fat” head slowly receded and turned into a normal size. Strangely, the head containing the brain of an amazing historic genius, was not so perfect at birth. 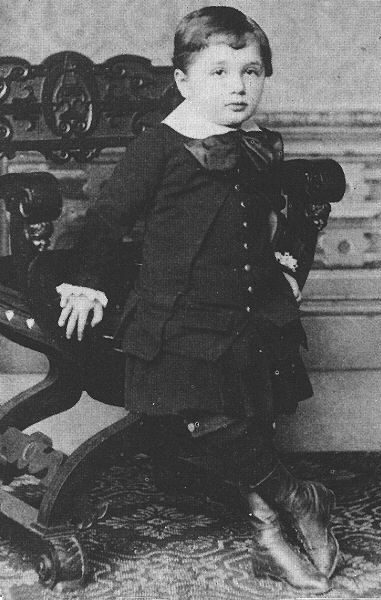 Einstein did not speak until the age of three, odd for a genius. He revealed this fact about himself in his biography. Today there is a term, “Einstein Syndrome,” which was coined by Dr. Thomas Sowell, to describe exceptionally bright people whose speech is delayed. 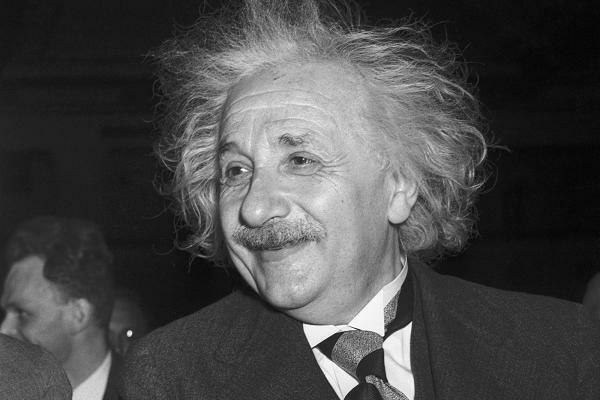 Einstein spent his teenage years in Munich, where his family operated an electrical equipment business. Galileo Galilei was Einstein’s favorite scientist. Albert Einstein’s lifelong love of science and math is no big secret, and in fact is what made him famous, that and his well know genius. That said, I was stunned to find out that his teachers did not consider him a good student, and they refused to recommend him for further employment. It is said that at 16, Einstein failed an exam that would have allowed him train to become an electrical engineer. 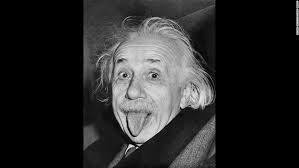 One of the things I found to be the most interesting is that Albert Einstein had a poor memory. He could not remember names, dates or phone numbers. I heard that he didn’t see the need to remember what he could have written down. Maybe this was why it needed to be written down. Most people know that he was given the Nobel Prize in 1921. It was the Nobel Prize in Physics that was awarded to Albert Einstein “for his services to Theoretical Physics, and especially for his discovery of the law of the photoelectric effect.” But, Einstein had a funny side too, and would have fit right in with the kids of today…at least in his picture taking. I really it wasn’t a selfie, but as selfies go, it fit right in with that the kids of today are doing, and apparently he though it was just as funny as they do. He was sure pleased with this one. One of the most interesting things I found out was that Einstein was offered the opportunity to become president of Israel after the its first president died in 1952. 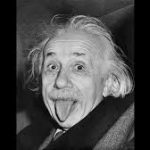 Einstein politely refused the offer, saying that he did not have the natural aptitude and experience to deal with people properly. He said that he could only understand a little of science and none of human nature. A little of science!!! Really!! I suppose that a genius would know and realize that just like the Bible, our understanding of science has only scratched the surface. Sadly, Albert Einstein had a “practical” view, if you will, of human life. He could have lived longer than he did. But, before he died, doctors suggested surgery to Einstein, because he suffered from a burst blood vessel. However, Einstein refused, stating, “It is tasteless to prolong life artificially.” I don’t understand why he ended such brilliance by refusing an operation that could save him. I find that very sad. The Christmas rush is behind us for another year. The gifts are purchased, and wrapped, and for many people, already opened. Christmas dinner is being prepared and families are gathering together. The house is filled with laughter and conversation and stomachs are growling just a bit as the aroma of the turkey fills the air. It’s hard to wait for the meal to be ready. It’s such a wonderful time to be sharing with family. Many people think of these big dinners as a lot of work, and it can be almost a relief to have them over, but really, they are a gift. All to quickly, children grow up and sometimes, move away, and before you can even blink, everything has changed. All the more reason to cherish the times you have, while you have them. So much has changed since the Christmases of my youth, and while I wouldn’t go back, because then I wouldn’t have my precious daughters, sons-in-law, grandchildren, and now the new little great grandbaby that is on the way in late spring 2018. 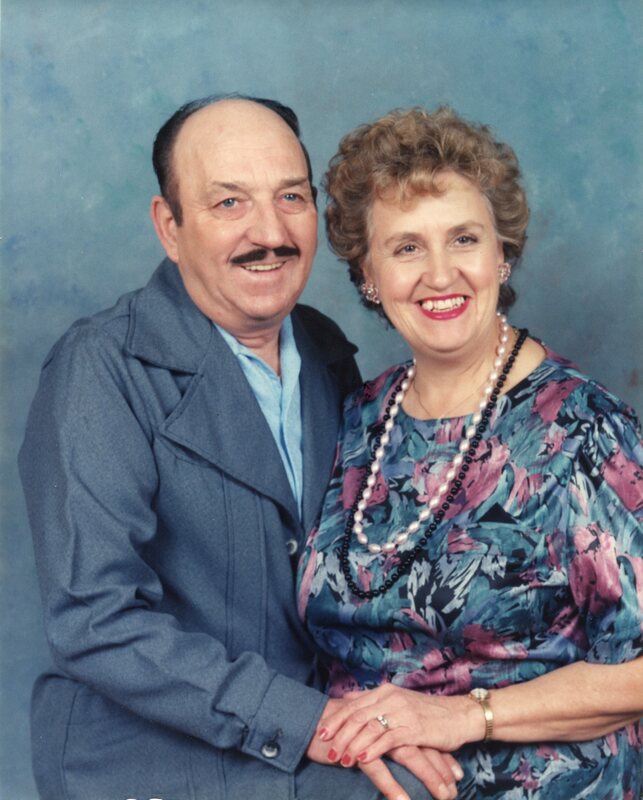 But, I do wish my parents, Allen and Collene Spencer were still here. 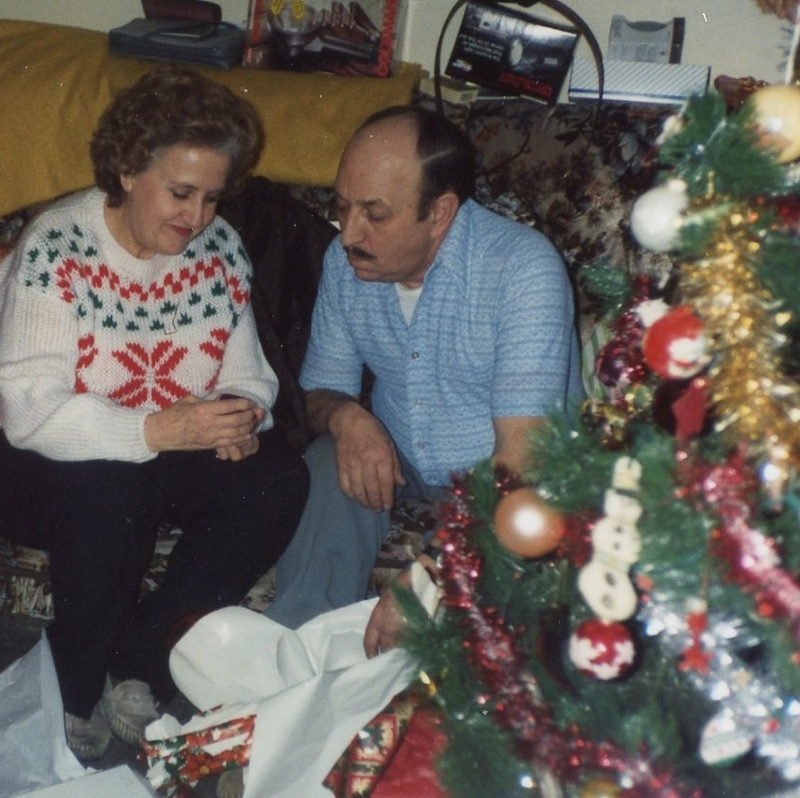 Having them in Heaven brings a little bit of a melancholy feeling to an otherwise cheerful season. Nevertheless, knowing that they are spending their days in Heaven with Jesus…the reason for this season, makes me feel very happy for them, even if I’m sad for me. 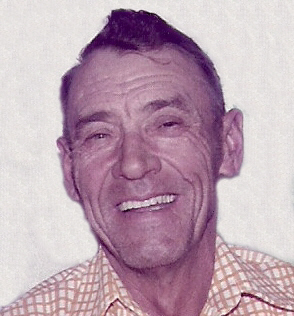 It has been 10 Christmases since I have seen my dad, and 3 Christmases since I’ve seen my mom, as well as, 5 Christmases since I’ve seen my father-in-law, Walt Schulenberg. 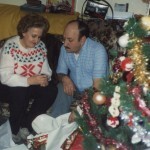 It’s odd, I suppose to think of how many Christmases they have been gone, but they were such a big part of what Christmas was for me, as well as every day of my life, that I find it really hard not to contemplate the fact that so much has changed in the years since they left, and just how much we miss them. While the commercialized part of Christmas is about giving and receiving gifts from loved ones, it is the ultimate gift that really is what Christmas is all about. 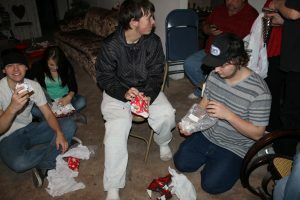 I don’t know what other people think about gift giving, but for me, it is God’s children imitating the Father. God gave us the ultimate gift, when He sent His son, and Jesus gave us the ultimate gift when He gave His life for us. We can never give a gift that could begin to compare to the precious gift that God gave us, but it is a show of our love for each other, and I know that makes God happy. He wanted His children to love each other, just as He so loved the world. I’m thankful for the coming of our Lord and Saviour, Jesus Christ, and for the price He later paid, because without Him none of us would receive Heaven when we passed away. That you Father for your precious gift, and thank you Jesus for paying my debt. Happy birthday Jesus. We love you!! Christmas Eve traditions can vary from family to family. 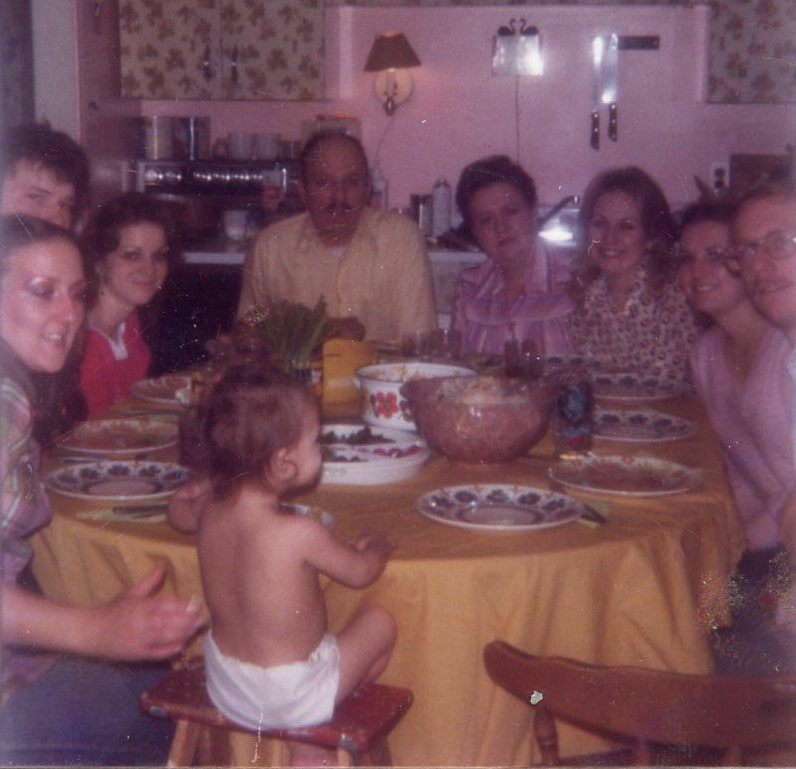 My husband, Bob’s family always got together for a chili dinner on Christmas eve. Then they opened the presents, and the kids spent the rest of the evening playing with their new toys while all the parents sat around visiting. 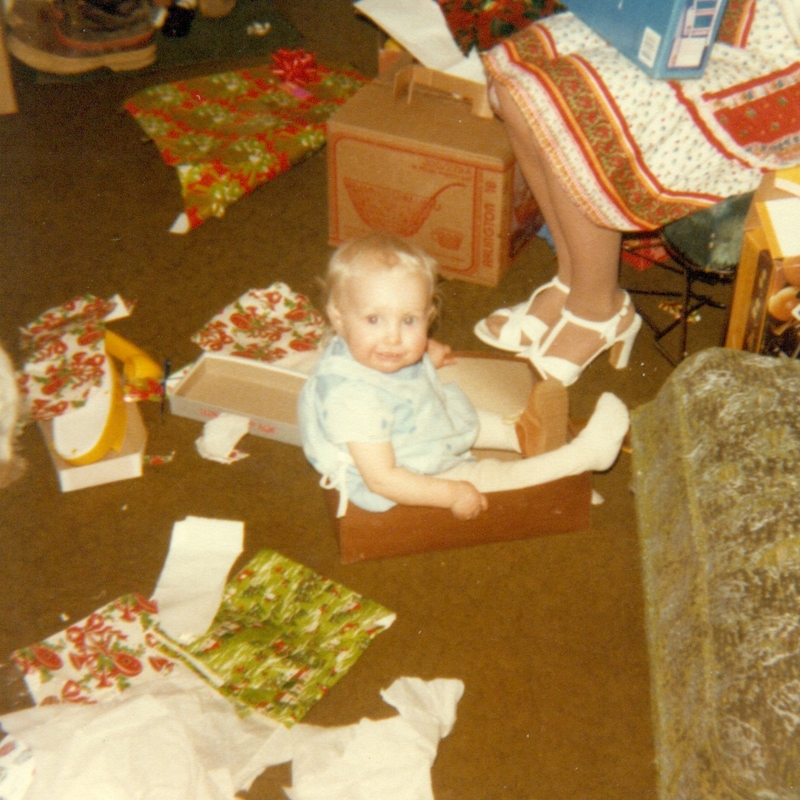 Sometimes Santa Clause would even show up, which was always a big hit among the little ones. Christmas morning was a day to relax and for the kids to play, while their parents prepared the huge Christmas dinner, and after dinner, all you could think of was how badly you wanted to lay down and sleep…especially when you had eaten two such dinners that day. Christmas dinner was just that way. It really should be followed with a nice long nap, stretched out on the couch to give the belly room. As a little girl, Christmas eve was a time when we got to open one gift…always pajamas…which ensured good pictures on Christmas morning. We spent time singing Christmas carols. 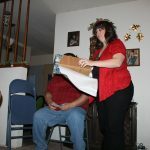 Our Christmas gifts were opened on Christmas morning. 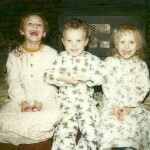 I think I always liked that way better, because the anticipation continued to build all night, and then we still had to wait for Mom and Dad to wake up and get things going in the morning. Of course, we really had no idea that they were awake before we were. I think they were just as excited as we were. When it came to Christmas, they were big kids too. 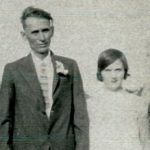 For my grandparents, Hattie and George Byer, as well as my niece, Raylynn Williams and her husband, Doug, Christmas Eve meant celebrating their wedding anniversary. For Grandma and Grandpa, a Christmas Eve wedding was probably more a matter of having family already gathered, and a wedding being held so people didn’t have to travel twice. For Raylynn, getting married on Christmas Eve was a way of honoring her grandparents…a way of sharing something special with them, even though they were both in Heaven by the time she married. It was like having them there at the wedding, and I’m sure that was exactly what Raylynn was thinking as she planned her special day. 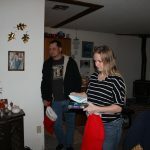 Our daughter Corrie Petersen, her husband, Kevin, and their kids like the tradition we have of opening one gift, and then the rest on Christmas morning, and they have the added excitement of going to Kevin’s mom’s after our house. It really keeps them hopping. Our daughter, Amy Royce, her husband, Travis, and their kids like to watch a movie while eating cheese and sausage with crackers after the gifts are opened on Christmas Eve. For Bob and me…after the rush of Christmas Eve chili with the Schulenberg family, and of everyone coming for the traditional Christmas Eve gift opening session, it’s time to sit down and relax a while before everything starts in the morning, because Christmas dinner is held at our house now. 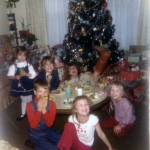 Since my sisters, our families, and I have a party a week or so early, like the Byer family, we all spend Christmas with our own families now. With my parents in Heaven, the big day shifted to us. We love having everyone share it with us. 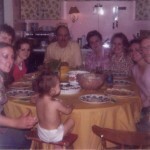 Traditions change as families change, and it will continue to change in the future. The main thing is to enjoy the tradition, while remembering the reason for the season, the birth of our Lord, Jesus Christ. As people prepare for Christmas, their days are busy shopping for gifts, and buying things for Christmas dinner. Their minds are on friends, family, and the coming holiday…not disaster. 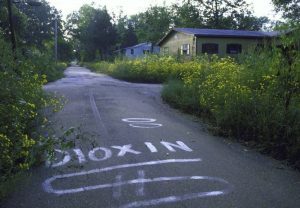 On December 23, 1982, disaster came in the form of a chemical…dioxin, which had been sprayed on the unpaved roads in the town of Times Beach, Missouri. 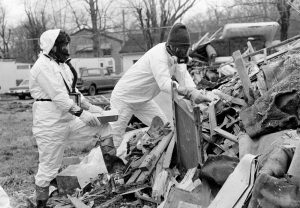 On the 23rd, just two days before Christmas the Missouri Department of Health and the federal Centers for Disease Control (CDC) informed the residents that their town would have to be evacuated. They were told that not only would their town have to be evacuated, but it would also have to be demolished. 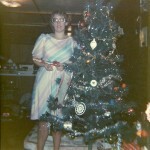 It was a nightmare Christmas for the people of the town of about 2,000 people. These were their homes, and now the government was telling them that they had to leave. Sure they were offered money, and a chance to relocate somewhere, but some of the residents had lived there all their lives. They just didn’t want to leave. Some refused to sell. By February, the federal and state governments had spent $36 million to buy every house in town except one. 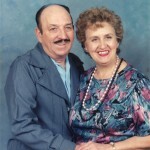 Eventually, in 1985, there was only one couple left living in the town, George and Lorene Klein. People magazine profiled their last stand. “They wanted more money,” Leistner says. “She still blames me. I didn’t set the price, but it’s my fault. She doesn’t speak to me.” In 1985, the city was officially disincorporated. Originally founded in 1925, Times Beach was actually part of a newspaper promotion: A 6-month subscription to The St. Louis Times plus an extra $67.50 bought a 20-by-100–foot lot along an unsettled stretch of the Meramec River. The town never became the booming resort that the newspaper had intended it to be, but rather, it evolved into a lower-middle–class hamlet of about 2,000 people. It was located just off Route 66, the now famous two lane highway that ran from Chicago to Los Angeles, and was once was one of the major routes across the American Southwest. 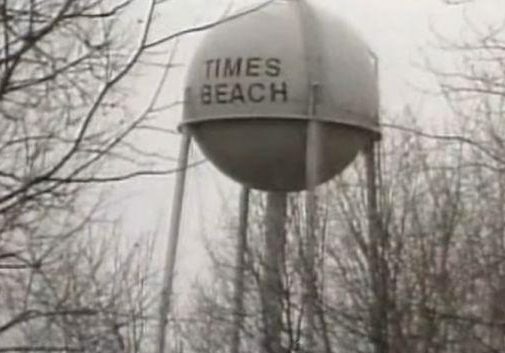 Unfortunately, being the small town that it was, Times Beach never had the money to pave its roads, and all the dust that was kicked up by vehicles was a real nuisance. In 1972, town officials thought they’d found a perfect solution to the problem: they paid local waste-hauler Russell Bliss just 6 cents per gallon to spray its roads with oil. The plan was to basically glue the dust to the ground, but we all know about the best laid plans. They had hoped the oil mixture would mix with the dirt and somehow glue it down. They never anticipated the problem the “cheaper solution” would cause. Bliss got the oil for free the year before, when a chemical manufacturer that had made most of its money selling napalm to the military paid him to get rid of its waste materials. He mixed six truckloads of that waste…which turned out to be hexachlorophene tainted with dioxin, a dangerous chemical that, once absorbed, can remain in the human body for more than 10 years–with a tankful of used motor oil. Next, he sprayed this carcinogenic cocktail all over town. The children of Times Beach loved sliding around in Bliss’ purple-tinted goo, and no one gave the substance a second thought until animals…particularly horses, who had contact with Bliss-sprayed roads and barn floors and riding rings every day, all year round…started dropping dead. Soon people started to get sick, too. In 1979, the EPA came to town and took soil samples, and in 1982 the agency announced that the levels of dioxin, “the most potent cancer-causing agent made by man,” in Times Beach were off the charts. The agency evacuated the town just after Christmas. 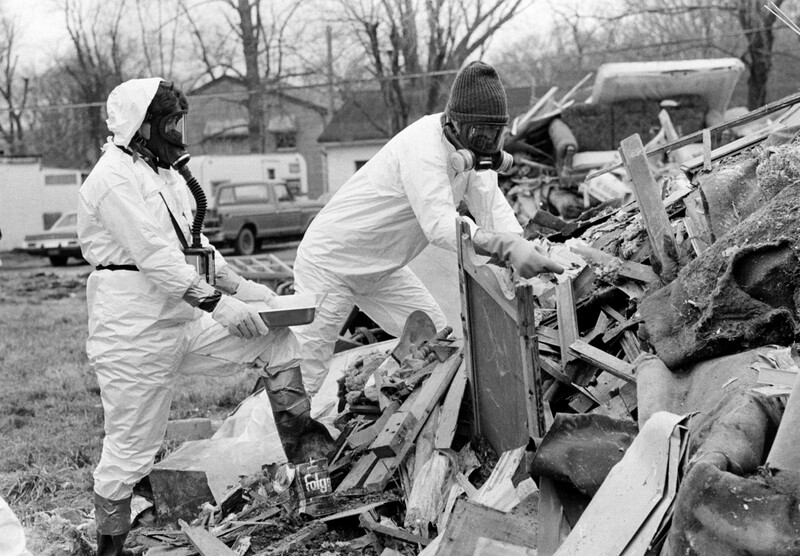 In all, the agency spent $250 million and incinerated 265,000 tons of dioxin-tainted soil. In 1999, the bulldozed and cleaned-up Times Beach reopened as the Route 66 State Park. Times Beach has remained a Ghost Town since that time. The process of trying to end a war and bring peace between nations is a tricky one, and one that can end up being highly volatile, or even explode into further fighting!! The world was in the midst of World War I, and an armistice had been signed between Russia and Germany. 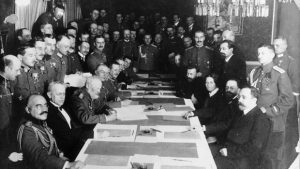 The Soviet government had requested peace negotiations on Nov. 8, 1917. They began on December 22, 1917, nearly three weeks after a ceasefire was declared on the Eastern Front. Representatives of the two countries began peace negotiations at Brest-Litovsk, near the Polish border in what is now the city of Brest, in Belarus. They were divided into several sessions. During this time, the Soviet delegation tried to prolong the proceedings, so they could take full advantage of the opportunity to issue propaganda statements. Meanwhile, the Germans grew increasingly impatient with the delays. 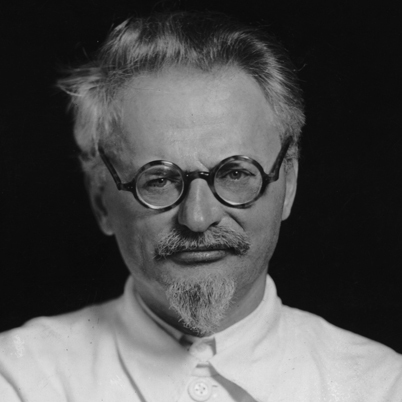 The leader of the Russian delegation was Leon Trotsky, the Bolshevik People’s Commissar for Foreign Relations. 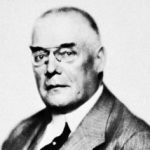 Max Hoffmann, the commander of German forces on the Eastern Front, served as one of the chief negotiators on the German side. The main difference of opinion in Brest-Litovsk was over the surrender of Russian land to the Germans. The Russians demanded a peace agreement without annexations or indemnities and the Germans were unwilling to concede on this point. In February 1918, Trotsky announced he was withdrawing the Russians from the peace talks, and the war was on again. This would turn out to be one of the biggest, if no the biggest mistake of his career. With the renewal of fighting, the Central Powers quickly took the upper hand. In a way, it was Russia against the world, and Russia was not likely to win that one. The Central Powers quickly seized control of most of Ukraine and Belarus. The Bolshevik hope that the workers of Germany and Austria, offended by their governments’ obvious territorial ambition, would rise up in rebellion in the name of the international working class people, soon vanished. Russia was fighting a losing battle, and they would have to surrender in the end. The end came on March 3, 1918, when Russia accepted peace terms that were even more harsh than those originally suggested by Germany. Russia would lose Poland, Lithuania, and the Baltic states of Estonia, Livonia, and Courland to Germany. To further devastate Russia’s hopes, Finland and the Ukraine saw Russia’s weakness as an opportunity to declare their independence. In all, Brest-Litovsk deprived Lenin’s new state of one million square miles of territory and one-third of its population, about 55 million people. Sometimes, it’s better to settle, rather than risk a loss far more devastating.